The first official performance numbers of the NVIDIA GeForce RTX 2080 graphics card have been revealed and compared against its predecessor, the GeForce GTX 1080. The GeForce RTX 2080 is NVIDIA’s latest Turing TU104 GPU which rocks impressive specifications and a price of $699 US which is similar to the GeForce GTX 1080 Founders Edition. The performance benchmarks show are compiled from several gaming titles and looks like the GTX 2080 manages an absolutely awesome 4K HDR 60Hz in many demanding game titles such as Mass Effect Andromeda, Star Wars Battlefront II, Far Cry 5, Battlefield 1, Destiny 2, Call of Duty: WW2, F1 2017, Hitman, Resident Evil 7 and Final Fantasy XV. NVIDIA GeForce RTX 2080 is twice as fast as the GeForce GTX 1080. 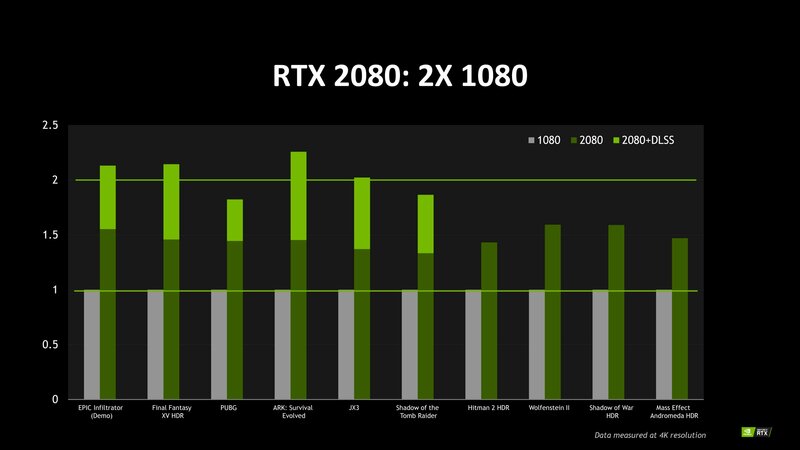 But that’s just the tip of the iceberg since when you put NVIDIA’s new Deep Learning Super Sampling (DLSS) tech to the equation, the performance of RTX 2080 is boosted by 2 times over its predecessors. Some games that support NVIDIA’s upcoming DLSS tech such as Final Fantasy XV, PUBG, ARK: Survival Evolved and JX3 were tested and delivered with astonishing numbers. 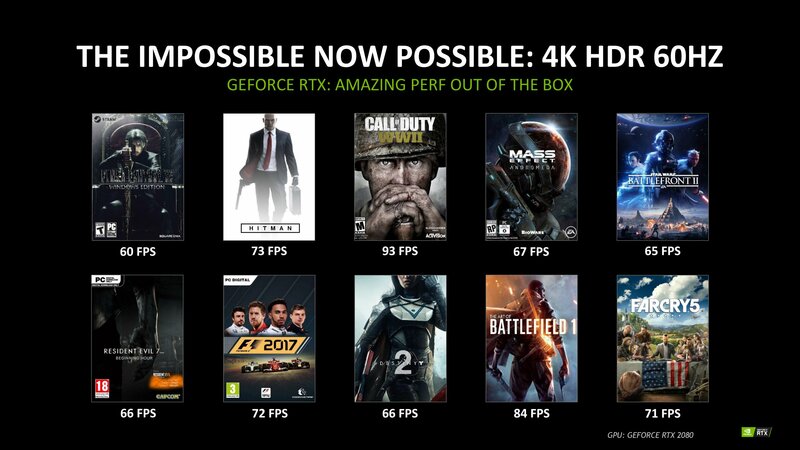 This falls in line with what NVIDIA has officially stated about their GeForce RTX cards, saying that they will deliver twice the performance than their predecessors and 4K HDR gaming at 60 FPS on the most demanding game titles. Following is a compilation of all games which are confirmed to support Real-Time Raytracing and DLSS. (Compiled by Anandtech as of 20th August 2018). 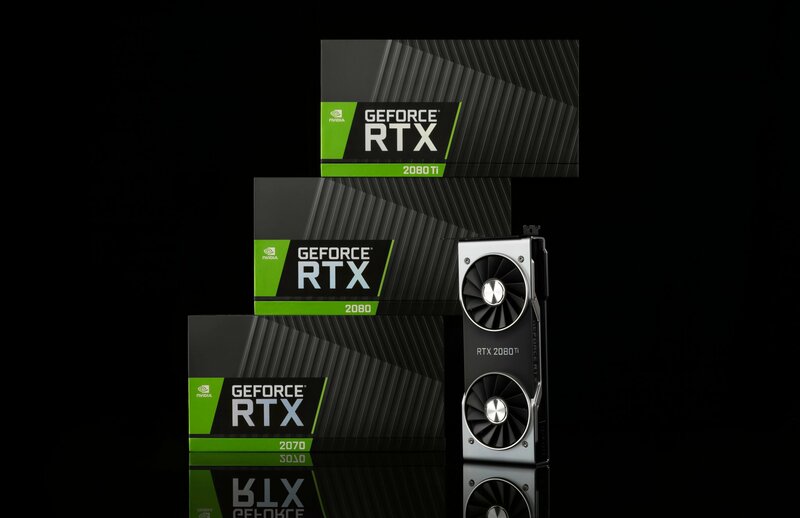 The surprising thing here is that this is the RTX 2080 we are talking about and the performance numbers put it neck and neck with an NVIDIA Titan V graphics card which is a $3000 US part. One can now imagine what the GeForce RTX 2080 Ti would perform like this as that part features much better specifications than the GeForce RTX 2080 (Non-Ti). The NVIDIA GeForce RTX 20 series launches today in reference variants first. 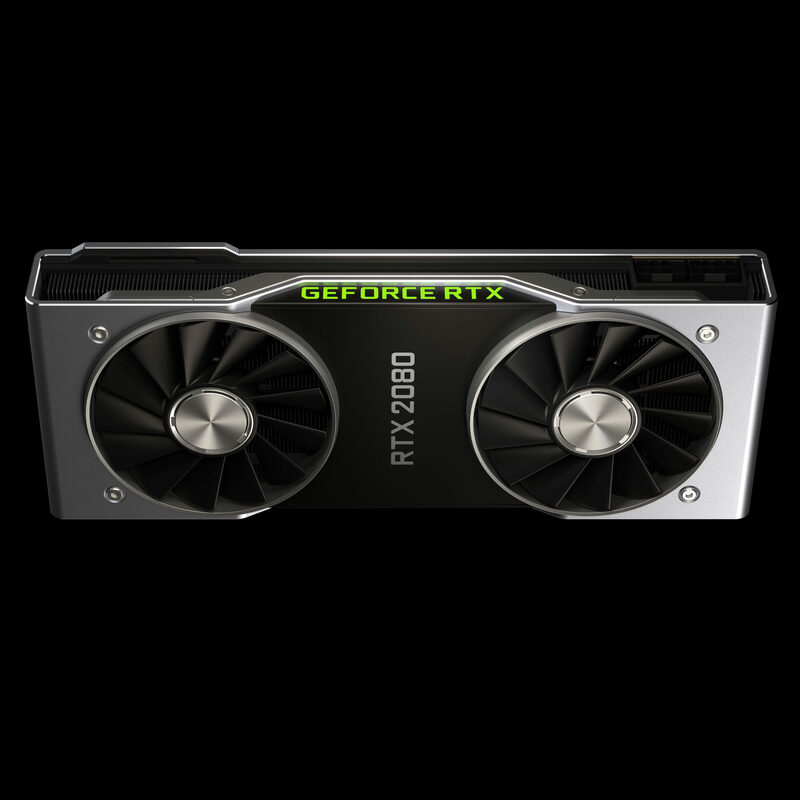 This time, NVIDIA has already given the green light to their manufacturers to announce custom cards soon after the reference launch which are now available to pre-order on the official GeForce webpage. Or you can head over to this article and check out all the glorious non-reference models which you will be able to get very soon.